24 June, 2017 Rakesh Sharma Reviews . 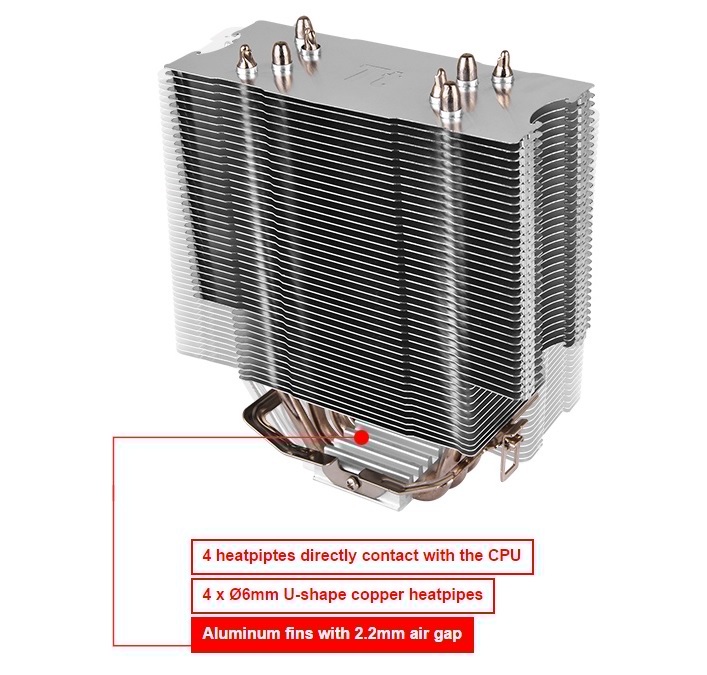 Getting a perfect cooling solution for a CPU to achieve the expectations of great performing with silence and above all at a good price point, is the most difficult task for a PC builder. 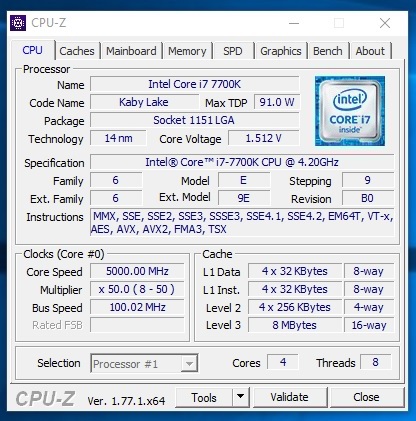 Specially as now a day’s all higher end CPUs don’t come bundled with a cooler inside, so one have to go for an aftermarket cooler to make the build working. 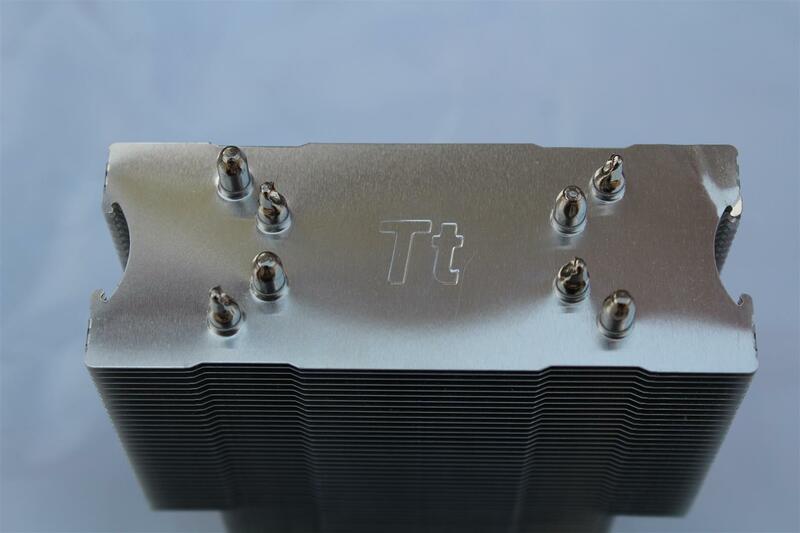 To solve this basic CPU cooling need, today we are reviewing a 120 mm heat-tube type Air cooler from Thermaltake. 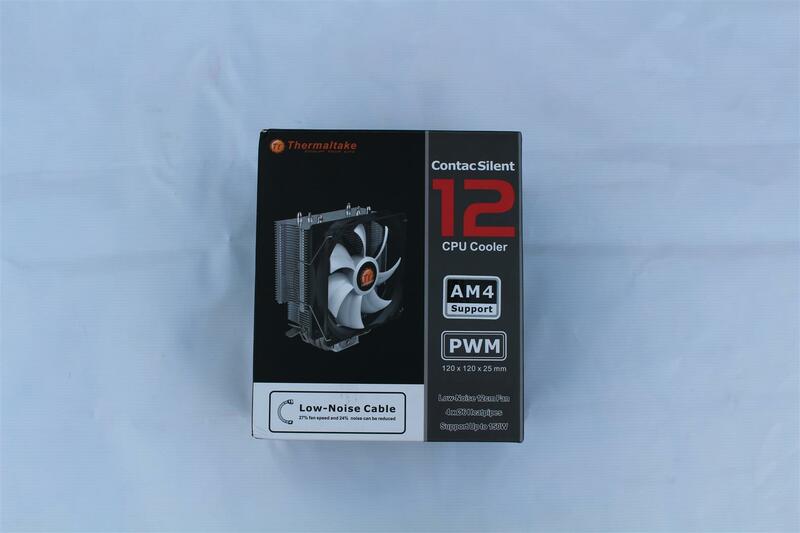 The Thermaltake Contac Silent 12, a budget CPU cooler with excellent cooling performance and low noise operations. 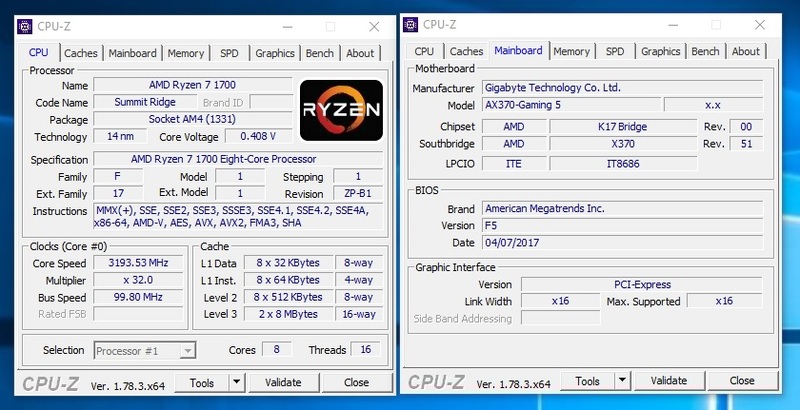 Above all it also supports all the latest Intel and AMD CPU sockets out of the box. 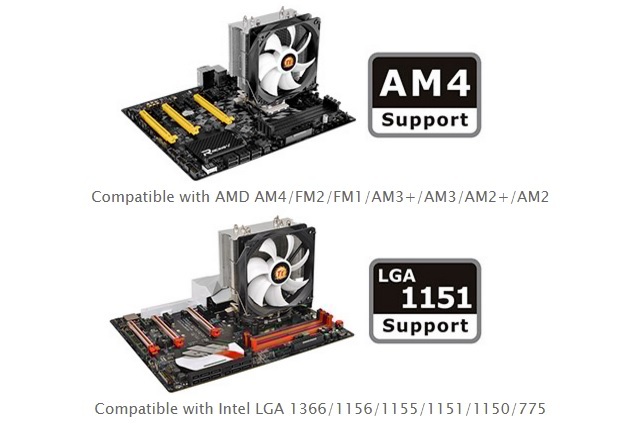 No hassle of getting an extra mounting kit for AM4 CPUs. 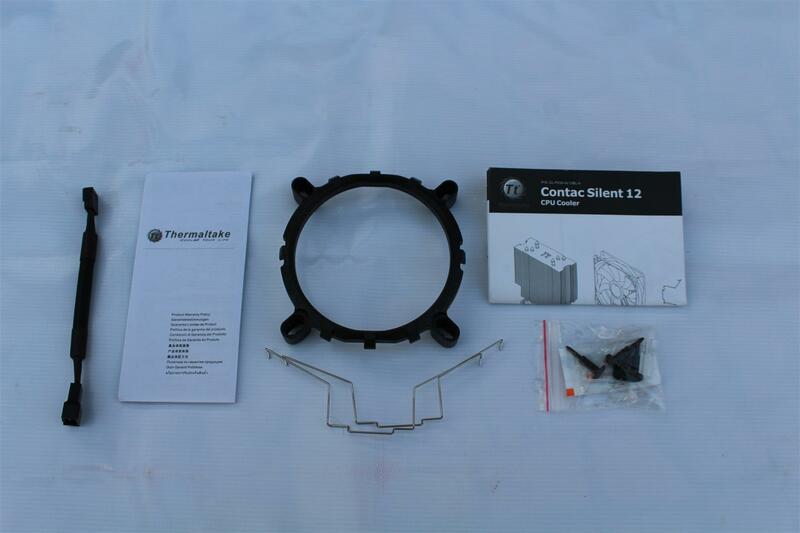 Now let’s see what this Thermaltake Contac Silent 12 CPU Cooler has for us. 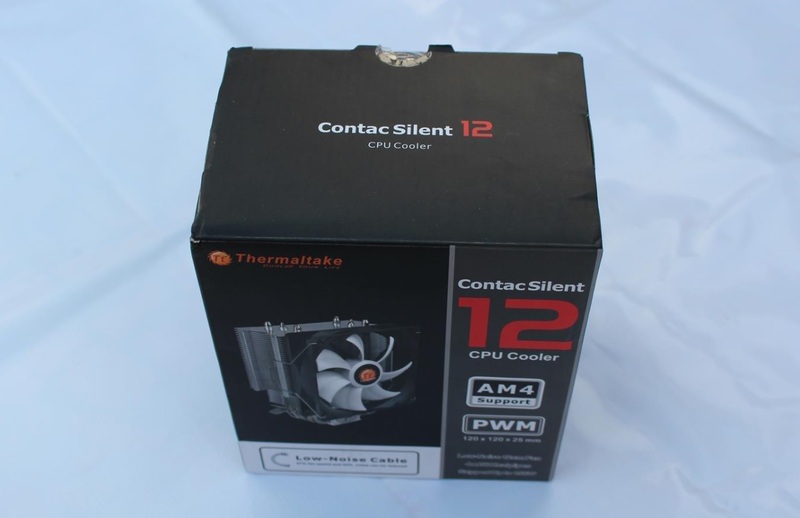 Thermaltake Contac Silent 12 CPU Cooler comes in a securely packaged box with product image, Model name and features highlights on front and the back of the box. 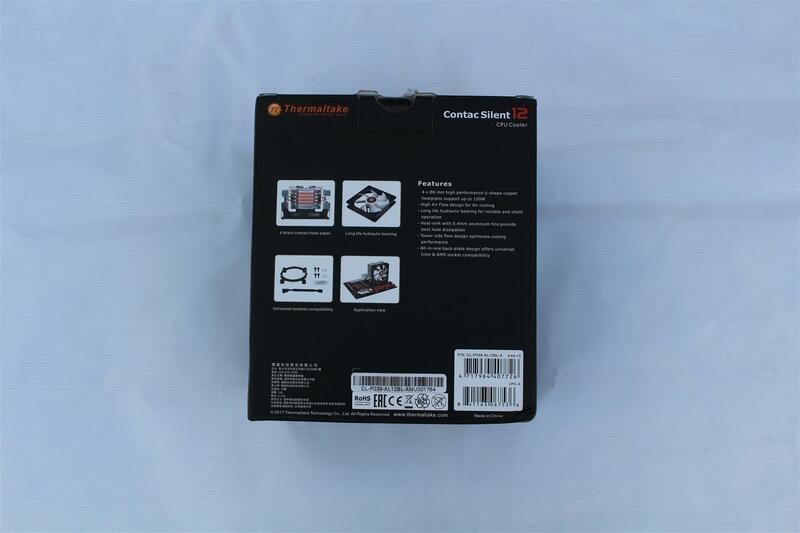 Box contains securely foam packed Thermaltake Contac Silent 12 CPU Cooler along with a separate box containing all the accessories and necessary hardware for Intel and AMD CPU mounting. 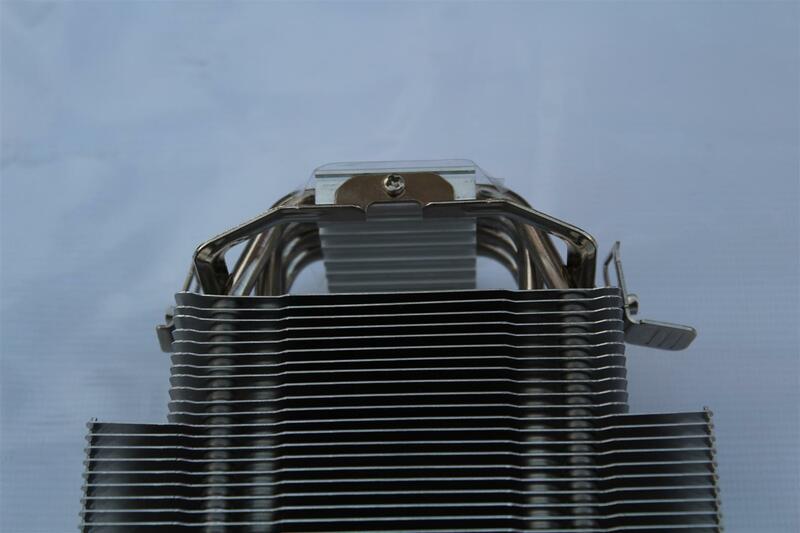 The heatsink is made up with an array of chrome/nickel plated aluminum fins which are pressure fused together with 4 Copper heatpipes in u-shape. 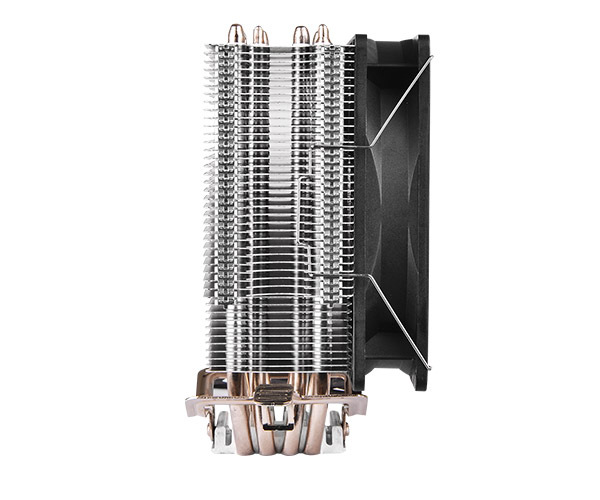 The heatpipes base is again fused with an aluminum base, which all together is machined to give a super flat base with copper pipes directly making a contact with the IHS of the cpu. 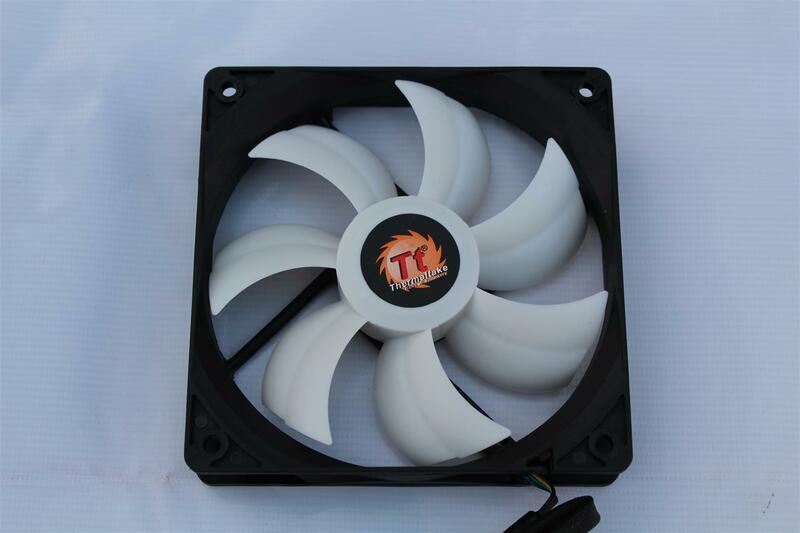 The included fan is Thermaltake High Airflow design model no. 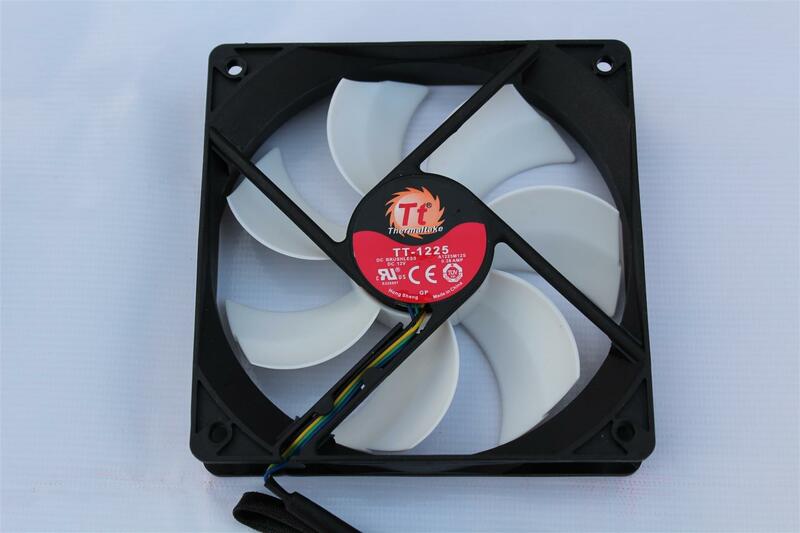 – TT1225, a PWM 0.38 amp 120mm sized fan featuring white blades. 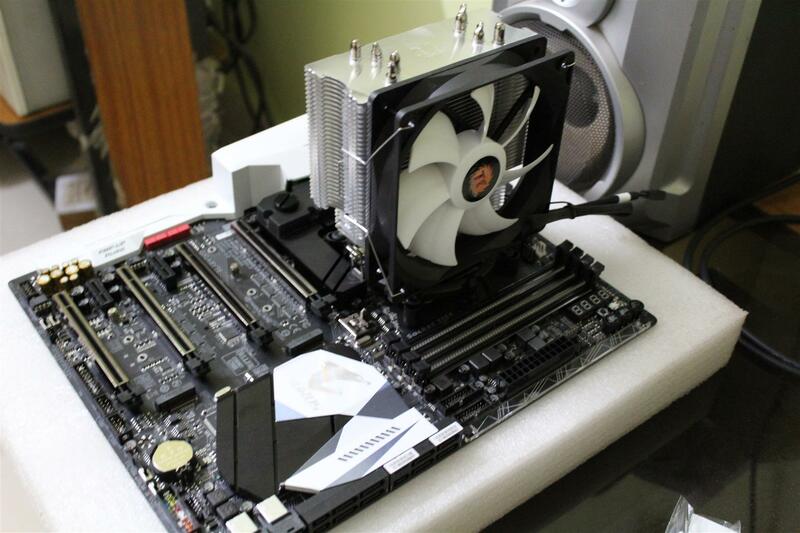 Test mounting the cooler on a Intel LGA 1151 socket motherboard. 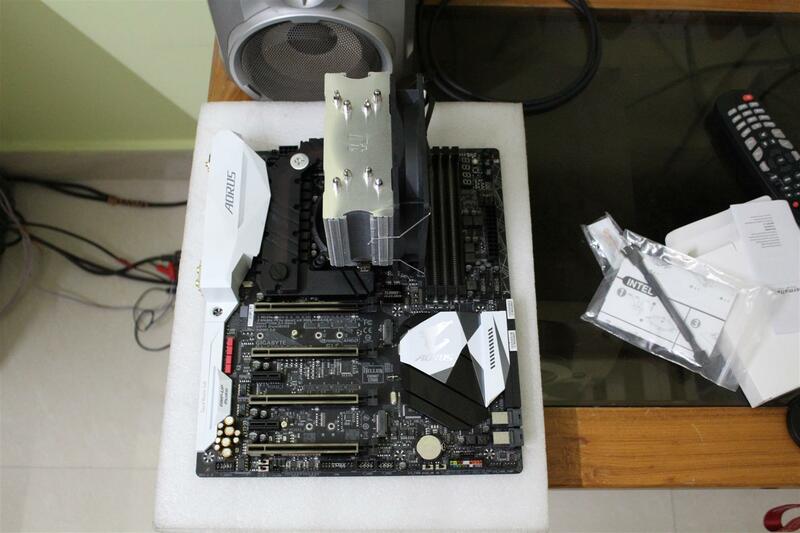 And a AMD AM4 socket motherboard. 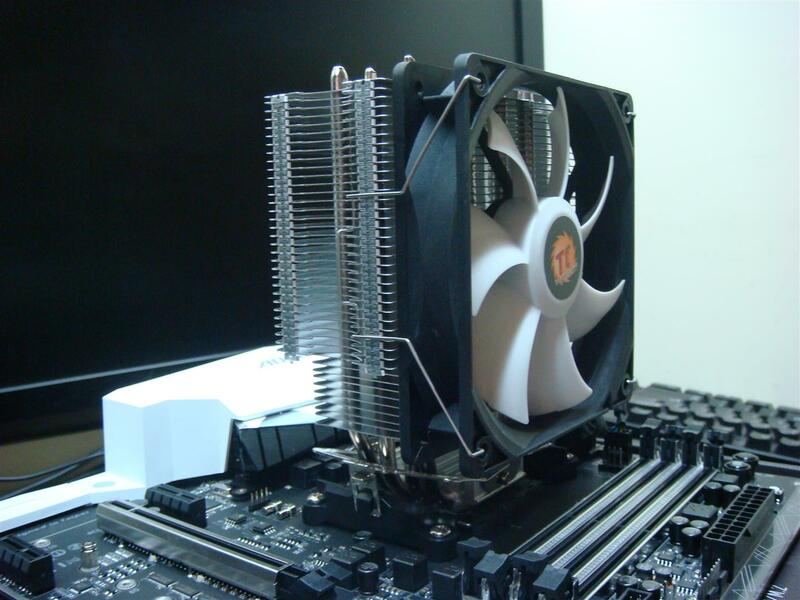 Testing a cooler properly is a difficult task especially at warmer places like my city. To get stable ambient temperature I performed all the temperature testing during late nights with room temperature reading about 32C-31C. 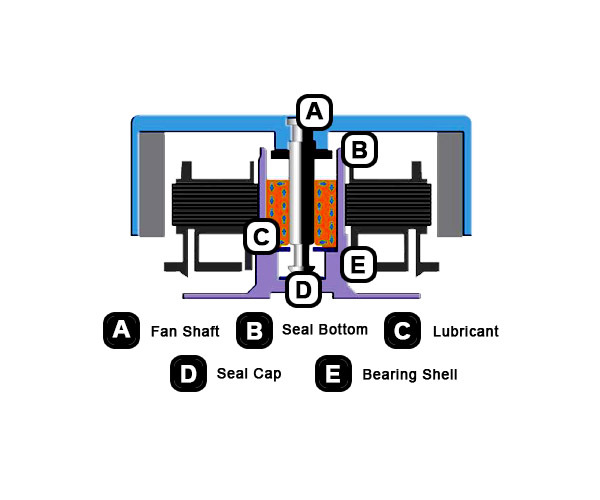 Also system was installed on an open bench to remove all the air flow characteristics of different cases from the test. 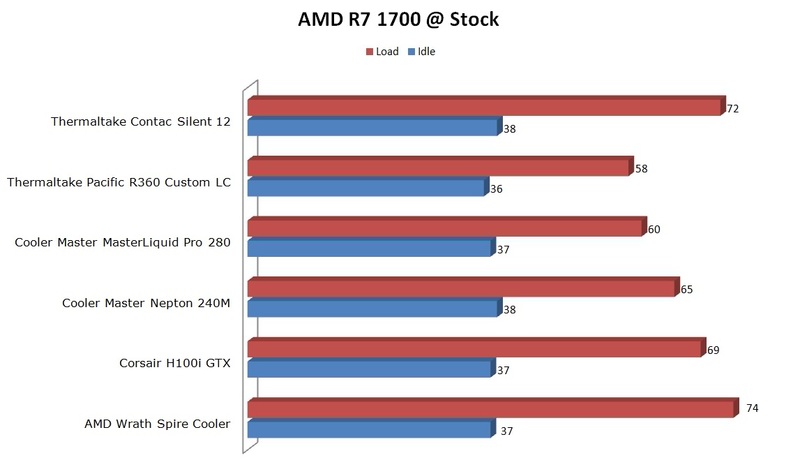 5 temperature readings were measured during each run with both Intel and AMD CPUs. 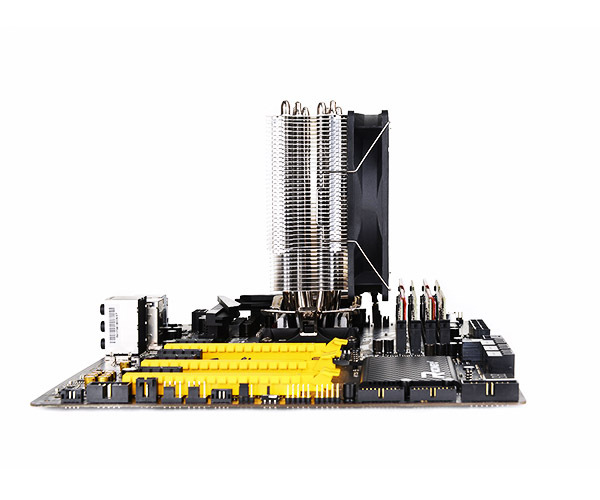 Motherboard fan profile was not changed to any setting and kept at default as provided by motherboard manufacturer and cooler fan was plugged to the CPU Fan header on the motherboard. First Idle and load temperatures were measured at stock setting of both CPU and later both Idle and load temperatures were measured at a stable moderate overclocking of both Intel and AMD CPU. 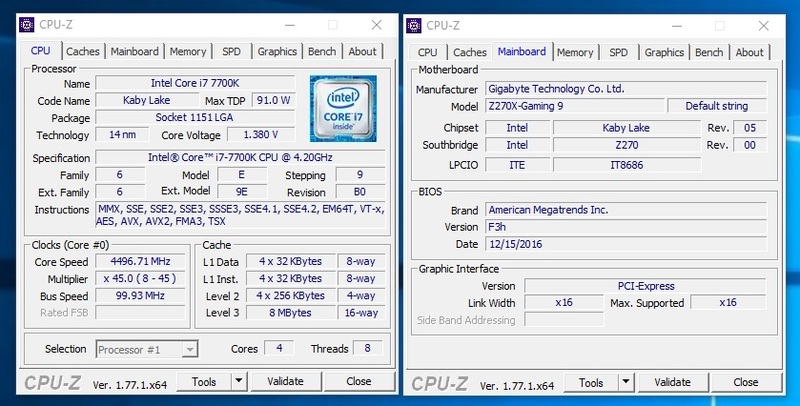 And last I tried to push the limits of this cooler and will be showing the maximum overclocking achieved on both CPUs using this cooler. After every load test run, the whole setup was turned off for 15 minutes for saturation of the cooler temperature. 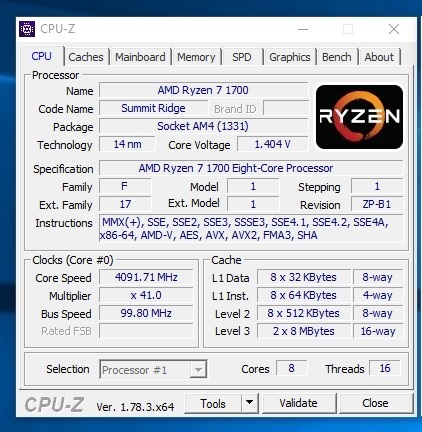 For idle, setup was kept running for 10 minutes doing nothing and for load AIDA64 Stability Test with CPU stress was run for 10 minutes. 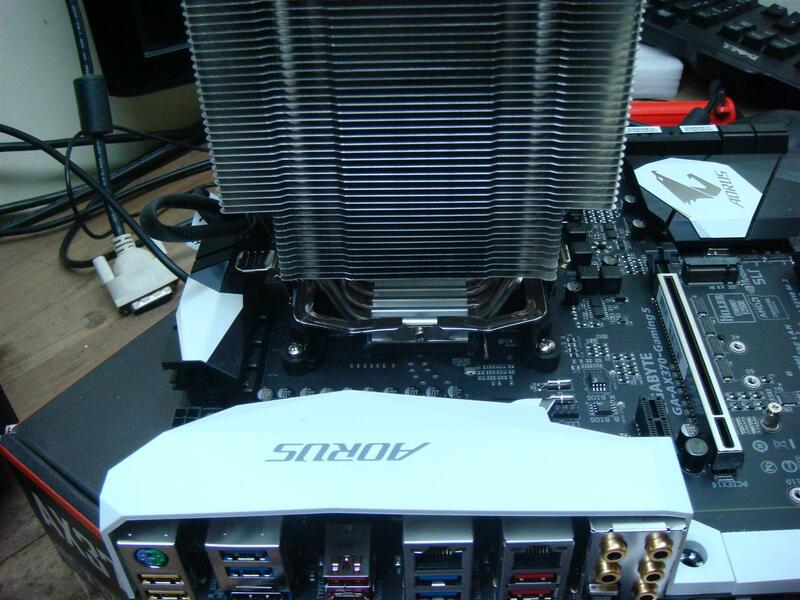 This is the absolute max I am able to push my CPUs using this cooler. 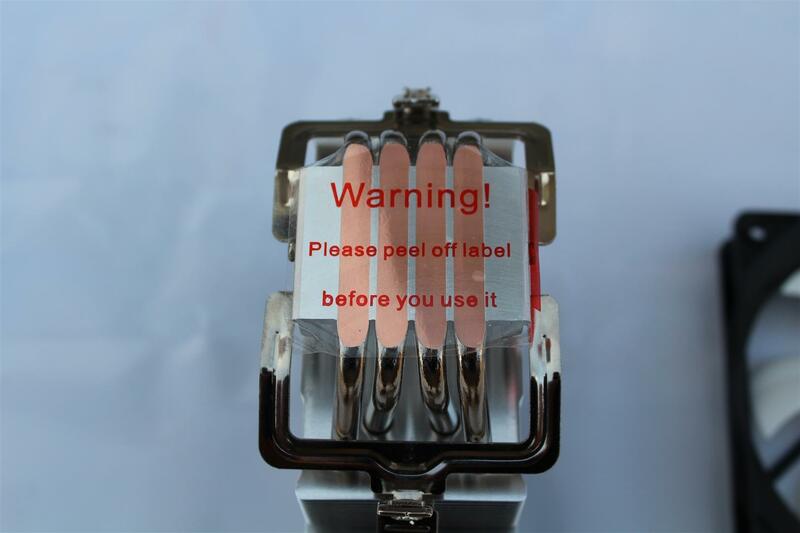 Very little quantity of included Thermal past. Can only be used for one or max two installations. 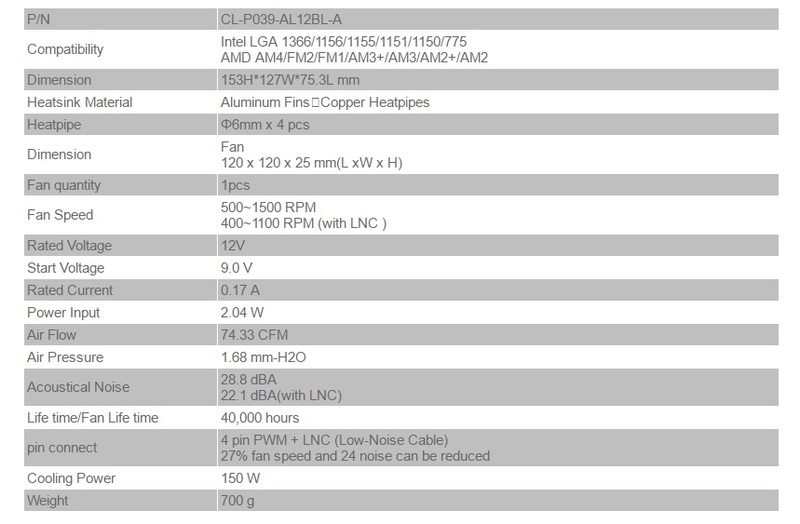 Low-noise cable does reduce noise, but cooler performance also reduces. 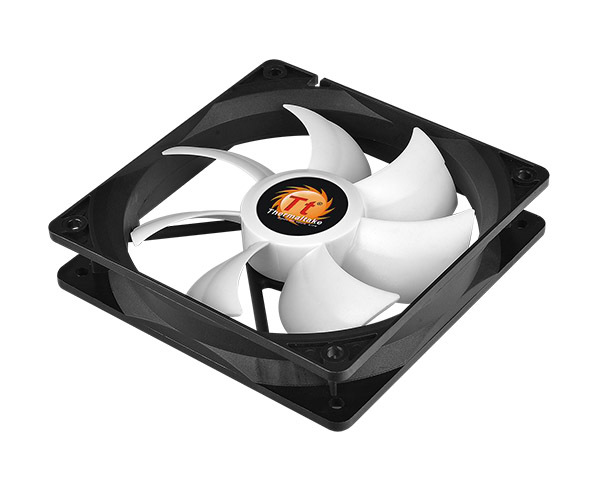 At the price tag of Rs.2.8K (approx) the Thermaltake Contac Silent 12 CPU cooler is a great value product. 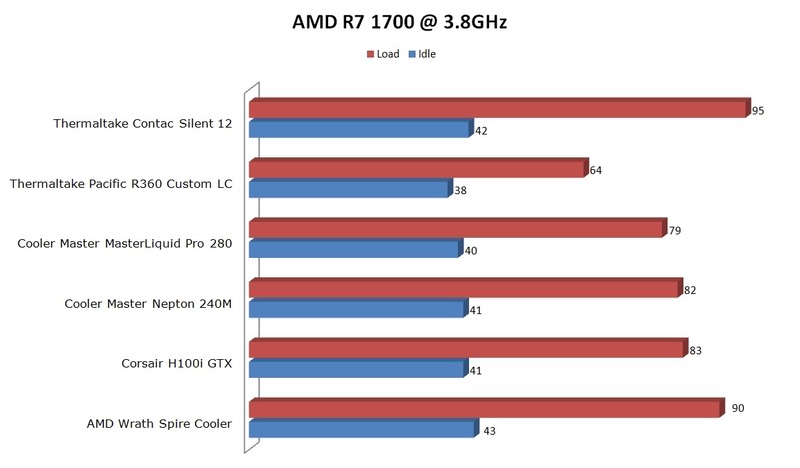 Offering great performance with nice temperatures and low noise. 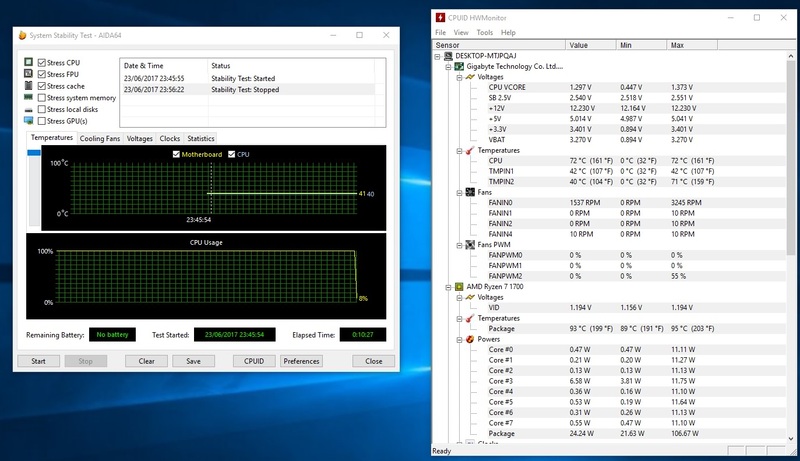 All my temperature results were on a open bench setup and the cooler fan was the sole responsible for all the air flow. 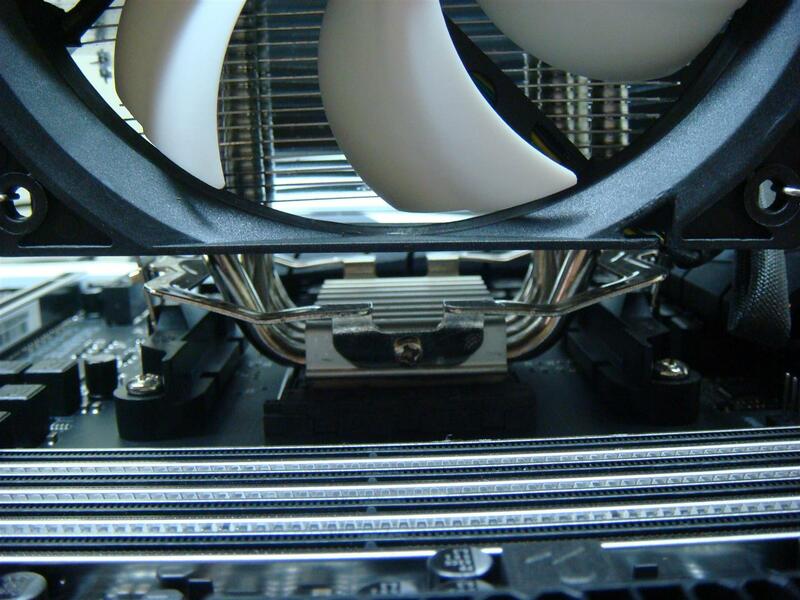 But in real world a good Air flow case will add more performance to this cooler. 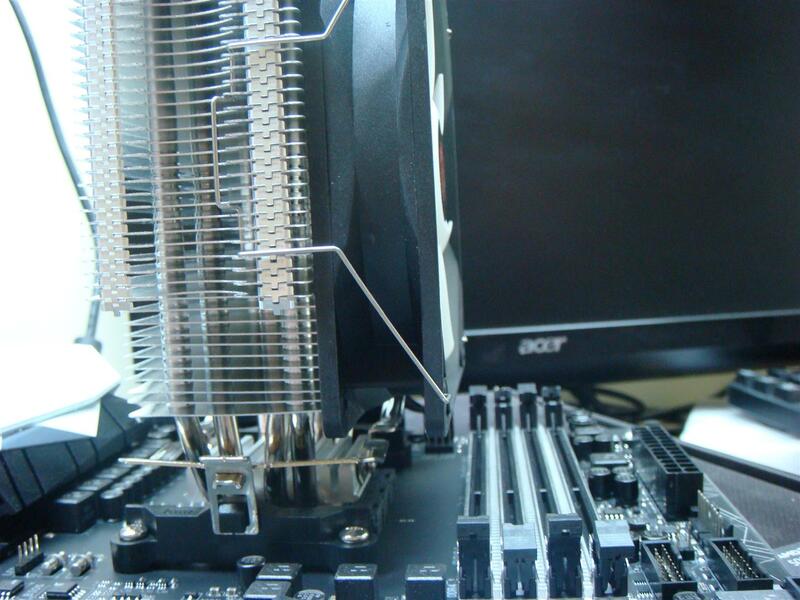 Overall the weight of the whole cooling assembly was very light giving a steady mounting in any motherboard orientation. 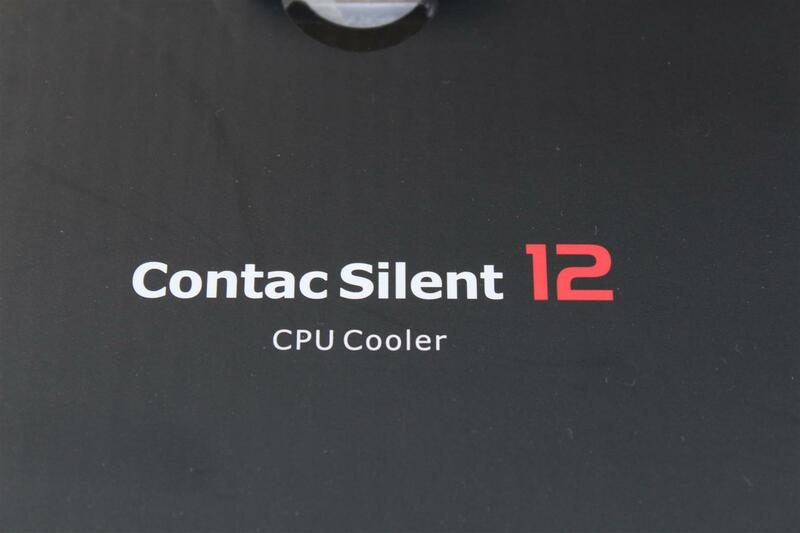 Also Thermaltake Contac Silent 12 CPU supports AM4 mounting out of the box, good for people going for early Ryzen R71700x and 1800x build. 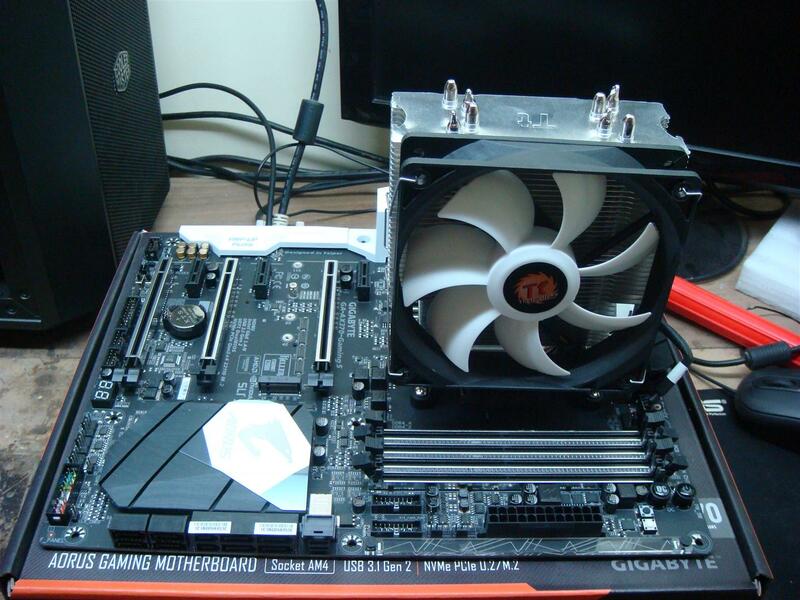 Only thing that I can suggest Thermaltake is to include a mini thermal compound tube instead of the tiny pouch. 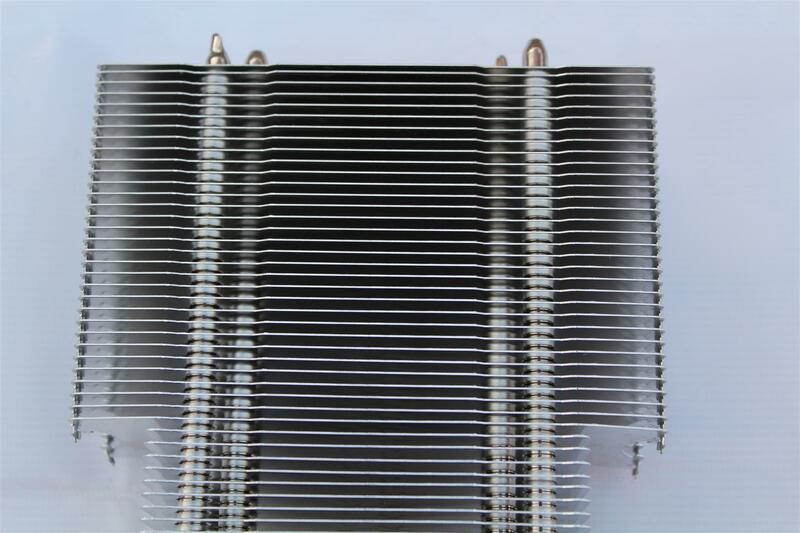 Thermal past quantity is so little that it is just sufficient to be applied for one installation and if you somehow screwed your first installation, than need to pause your system build and go on to a thermal past hunt. 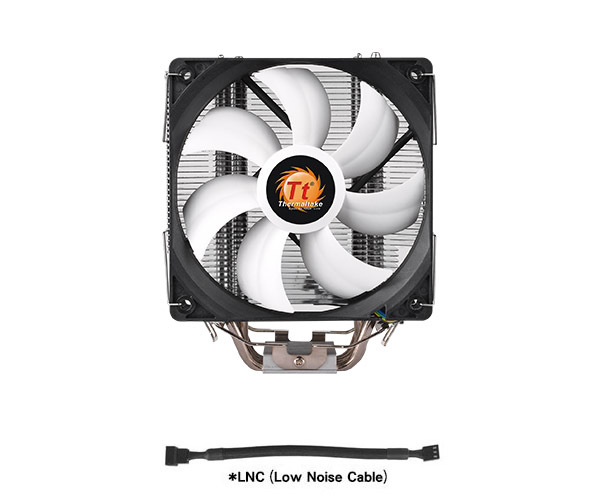 Second, I found included Low Noise cable of no use, it does reduce fan noise, but cooler performance also reduces. 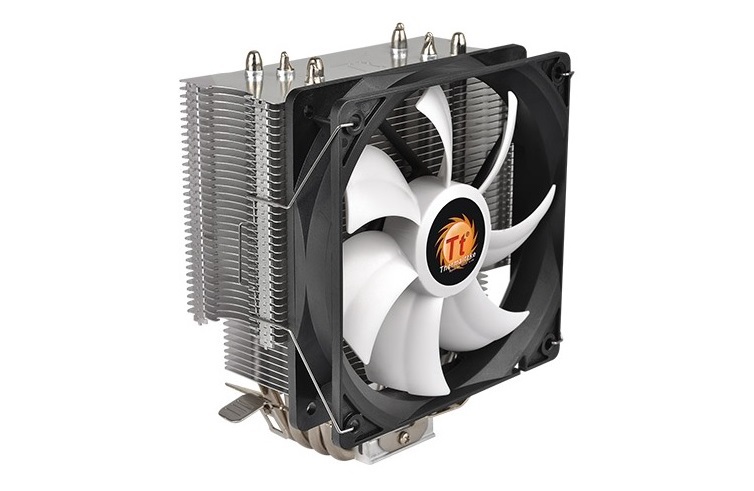 Consider that the cooler already includes a PWM fan, tweaking motherboard’s fan profile as per ones need is rather more suggested. 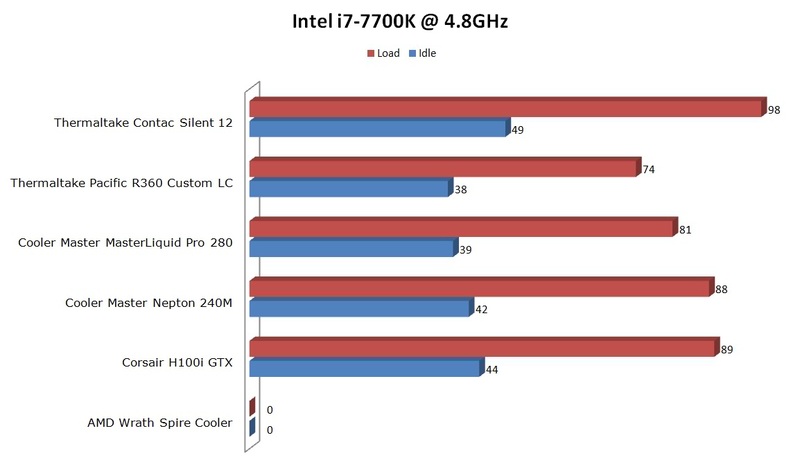 Finally, Thermaltake Contac Silent 12 CPU cooler is a decent entry level Air cooler with nice performance and low noise operation. 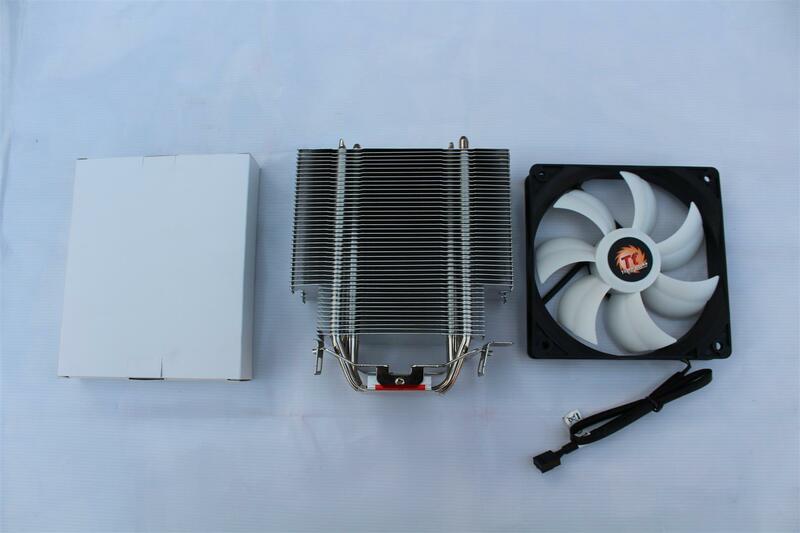 And we are happy to recommend it for those who are looking for the best performance of the price from a CPU Air cooling solution.